Need A Recommended Lawyer in Austria? With its beautiful scenery and strong business culture, Austria attracts many foreigners as a great holiday, relocation or business destination. There are therefore many reasons why you may require the services of an Austrian lawyer. If you need to instruct a lawyer in Austria it can be hard to decide who to choose. Without a suitable recommendation for an Austrian lawyer it is difficult to know where to start to make sure you find a reputable Austrian Lawyer who is right for your case. Fortunately, Worldwide Lawyers can help! We have provided a little bit of guidance below to help point you in the right direction. You can of course just contact us for details of a recommended Austrian lawyer too! Worldwide Lawyers can put you in touch with a recommended English-speaking lawyer in Austria who will provide a non-obligation quote. Contact us on 01244 470 339 or email us at info@worldwidelawyers.co.uk. Registered: You should check that your Austrian lawyer is registered with one of the Austrian bar associations. Bar associations in Austria are divided into districts, you will need to find out which of the bar associations that are registered with. Ask for their registration number and check it out. Insured: It is wide to check that your lawyer in Austria has professional indemnity insurance, to cover the advice that they provide to you. 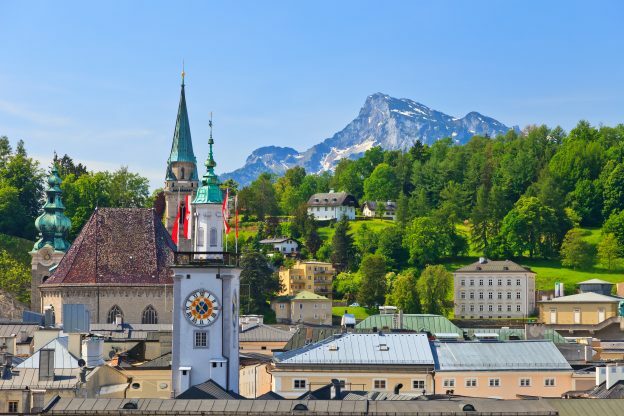 Experienced: You will also need to ensure that the lawyer in Austria has experience and expertise in the area of Austrian law for which you require advice. English-speaking: Your Austrian lawyer should be fluent in English (unless you are fluent in German) so that you will be able to understand the advice being provided. If you need advice in relation to Austrian law, Worldwide Lawyers can put you in touch with a recommended English-speaking lawyer in Austria who is registered and insured in accordance with their practice requirements in Austria. Insolvency and Bankruptcy Law in Austria. Austrian, international and cross-border damages and compensation claims. Our friendly and experienced team will be able to discuss your requirements with you and, if required, put you in touch with a suitable law firm in Austria to provide you with a no-obligation quote for their services.